Credit scores are all about your past. This can be a challenge for people who do have not looked after their finances very well in the past. There are things that you can do to improve your credit score, but you will have to be prepared to put in the hard work. It’s important to be careful and consistent when you are working on improving your credit score. If you take the wrong steps, you could end up harming the score even further rather than improving it. Here are six methods that will help to improve your credit score in the long-term. There are many different forms of credit out there, and it can actually improve your score if you use them. That means switching things up and opting for different forms of credit at different times. You could use credit cards, installment plans, personal loans and many others. This shows creditors that you are capable of dealing with lots of different forms of credit, and that’s very important. It won’t turn a terrible credit score into a fantastic one. But it will give it a small boost, and that’s a good way to start when you’re looking to start improving your credit score. Only do it if you’re capable of making the repayments though. Your payment history is one of the most important things when it comes to deciding your credit score. If you keep failing to pay your bills and make loan repayments on time, this will hurt your credit score a lot. These kinds of payments will make up about 35% of your overall credit score, so it’s not something that you can afford to ignore. If you’re someone who is rushed off your feet all the time, you can fall behind on payment purely because you’re too busy. But you could automate your payments. That way, you won’t have to worry about sorting out each individual payment yourself. Mistakes often happen. You can make mistakes, but also your creditors or credit card company can make mistakes too. When those companies make mistakes, they can damage your credit score. If they mistakenly show it on their records that you have missed repayments, for example, your credit score can take a massive hit. If there are any incorrect items on your credit record, make sure that you challenge them. If you don’t, they will just stay there damaging your credit score. There are companies that can help you out with these disputes. So, read reviews of Sky Blue Credit and see if they can help you. Raising your credit card limit can be a great way to improve your overall credit score. But the important thing to remember is that your spending should not increase as well. Just because you have increased your credit limit, that doesn’t mean you can spend more. The whole point is to make sure that your spending falls well below your limit. When you have that space between your spending and your credit limit, it shows that you are capable of staying within the restrictions in place. This will be seen as a good thing by creditors, and it will improve your credit score. If you don’t use credit cards, then creditors can’t know how good you are at dealing with credit. So, by getting a credit card, or another credit card, it shows that you are good at dealing with credit. But this is only the case if you make the repayments on time and do everything that is expected of you. It might seem strange that having more credit cards can help your credit score. But it’s all about showing that you are capable of handling your money and financial affairs. If you don’t have any cards, then you can’t expect to get a good score. Yes, I said you should get more credit cards. But that doesn’t mean that you have to be using them all the time. 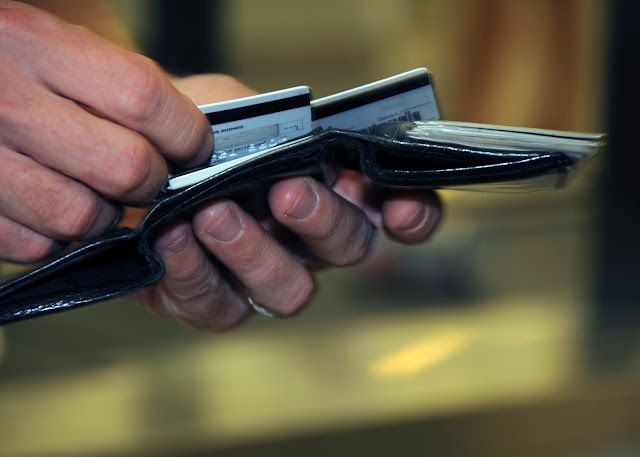 Simply having the plastic in your wallet is enough to improve your credit score. So, you put yourself at risk of damaging your credit rating if you use them recklessly. Don’t be tempted to flash them about whenever you have something to pay for. This sort of the behaviour only ever ends in disaster, and that’s not what you want to happen. So, you need to have them in your possessions but also underuse them.